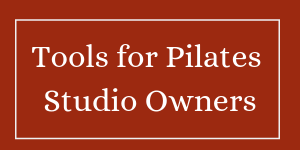 You are here: Home / Tips for Pilates Studios / Can Pilates stop a panic attack? Can Pilates stop a panic attack? 6 years ago (yes… years), I had my last encounter with a certain person, and that encounter changed me. It left me hurt and doubting myself. This encounter was unexpected, and I was blindsided. My “side hustle” at the time, was working in choreographed fitness and according to that person — I was a failure and she knew this because clients called her to complain about me. I got out of that coffee shop before I started to cry, but the core of me was shaken. Regardless of the “real story” (or maybe the whole story), the fact that my “side hustle” boss told me I had failed, really changed my trajectory over the next few years. I was extremely hurt. This incident fed into my body image issues, and I went from fitness instructor to couch potato. I have dreaded seeing her for 6 years. I rarely go to the city she lives in, because I wanted to avoid that encounter. Last Saturday, I had a friend in town for the weekend, and she loves visiting the Pilates studio I go to. We went to an 8am class, and after we walked in — I saw that person, the one who had seemed to take joy in pointing out I was a failure, standing in the studio, registering for the class that I was going to. I had avoided a chance meeting with her for years, and there she was standing right in front of me. Is this a test of mindfulness or what? When I started Pilates I thought mindfulness (and meditation) was some sort of voodoo. I don’t do yoga very often. The first time I took a yoga class I got a ton of work planning done in my head because the class moved so slow, and the second time, well, I thought I was going to die in a pile of sweat in a Vinyassa class. Both times, I thought the music was snake music and I just wasn’t comfortable in the class. I’m sure there are a zillion people out in the world just like me who don’t go to classes that are labeled “mindful exercise” because they think it’s hogwash. Now here I was, about to have a panic attack in public at 8 am on a Saturday morning and putting mindfulness to the test. I started to believe in mindfulness at an early morning class while I was still working full time a few years ago. I just hadn’t really put mindfulness to the test lately. I started 1-2 minute meditations this year after there were some features on it on Good Morning America, and I find that even spending 1 minute “in the moment” has changed my outlook and helped me be more productive. Whether you believe in mindfulness or not, my results with mindful exercise are hard to ignore. I didn’t have a panic attack, and after years of avoiding a person who hurt me, I discovered that I just didn’t care about her or anything that happened in the past. I’ve worked through the hurt, followed my dreams and I don’t allow people like that to be close to me anymore. I didn’t have a panic attack, and I believe that was the result of practicing Pilates (mindful exercise) the past four years. Practicing mindful exercise the past 4 years has helped me in many situations. Whether you believe “mindfulness” is real or voodoo, I would encourage everyone to practice mindful movement. Don’t be scared of the snake music or the intentions or even just being in the moment. You will be amazed at the results. Previous Post: « I bet you didn’t think that blogging could give you the same great feelings as Pilates!